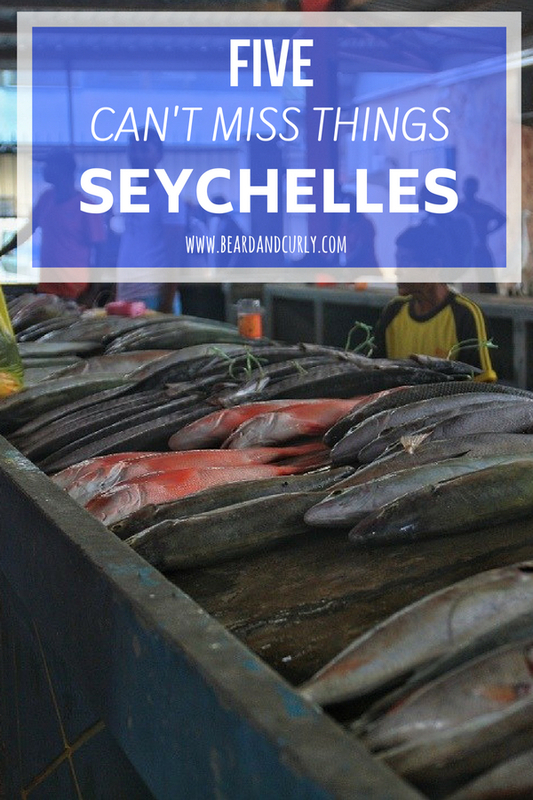 Seychelles, an island in the middle of the Indian Ocean, comprises of three main islands, each of which is distinct and each can potentially vouch as the nicest island and home to some of the best beaches, not just in the Indian Ocean, but the World. Mahe, the heartbeat and main island of Seychelles, has the Worlds smallest Capital city, Victoria. Mountains rise in the center of the island while beaches dot the island from top to bottom. The Creole background is rich in culture and clearly in their local food. 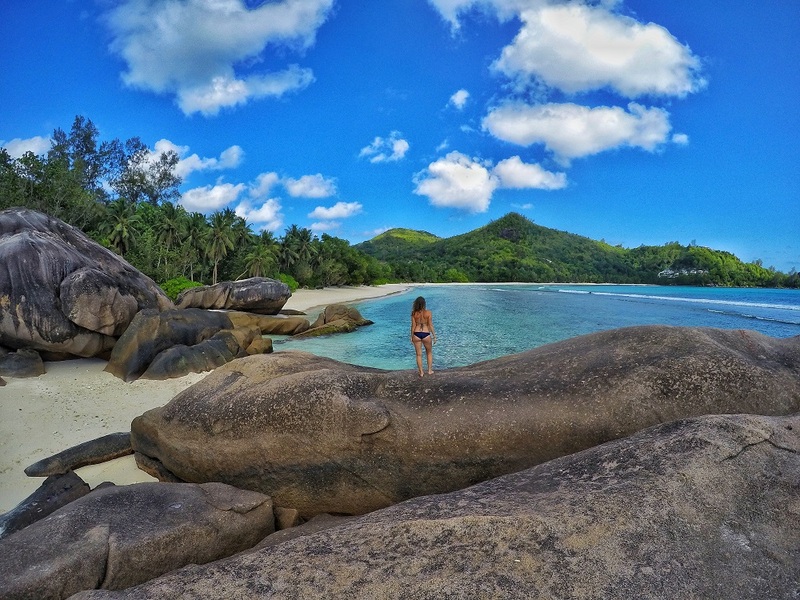 While La Digue and Praslin each are worth visiting, Mahe alone can still offer everything to Seychelles. 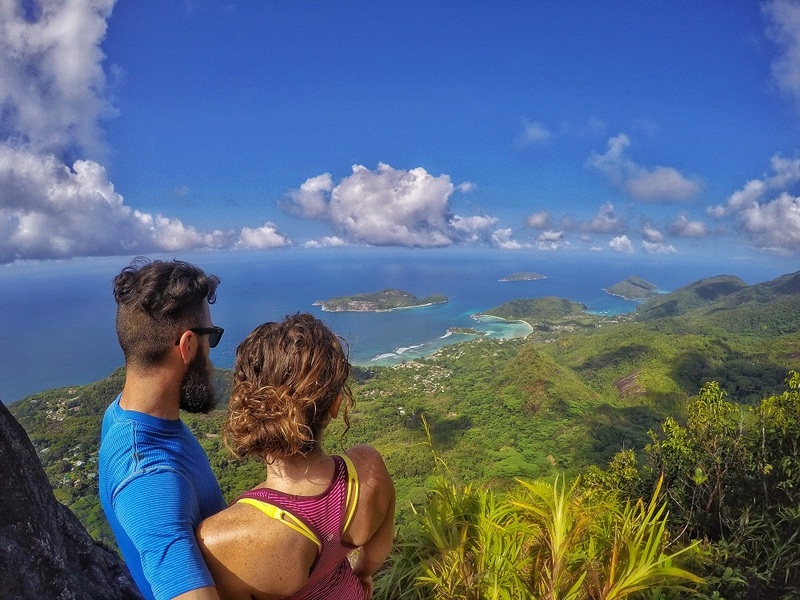 Five Can’t Miss Things in Mahe, Seychelles hits on all the best: views, beaches, hiking, culture and food. One of the best beaches in Seychelles, Anse Major can only be reached by foot or boat. However, this secluded beach on the West of Mahe is best to get to by foot. It is a one hour hike from Bel Ombre village. With a rental car, you can cut the hike in half, otherwise take Bus 21 to the last stop. 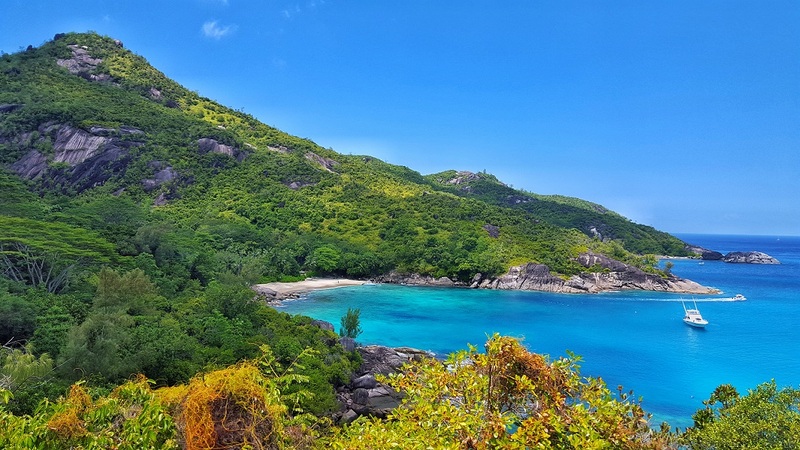 This coastal hike cuts through the Morne Seychelles National Park onto a rocky coastline with stunning views. Ten minutes before arriving, you have an incredible viewpoint looking down at the bay and isolated beach. While it is not the best beach for swimming as there are rocks and reef close to shore, it is great for snorkeling. 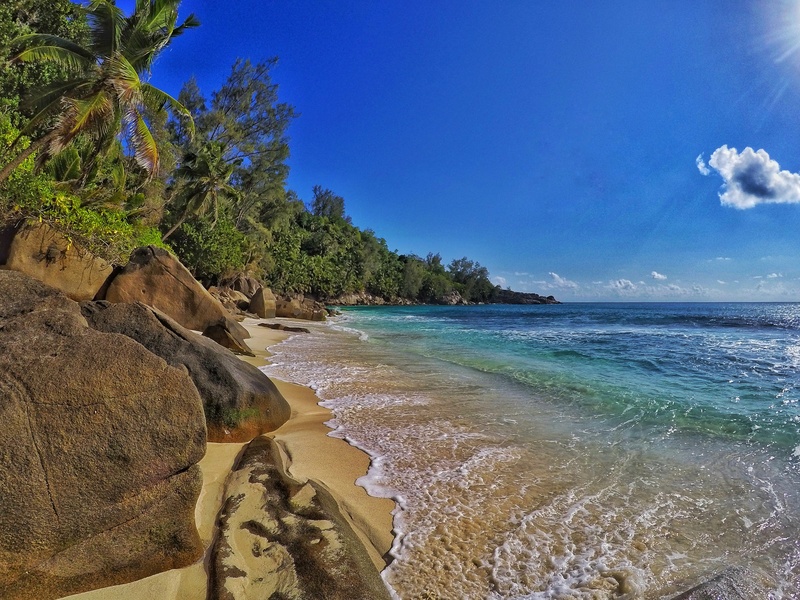 Overall, this is one of the most scenic beaches in Seychelles. The market in Victoria is on weekdays only, where you can buy your local produce, fruit, and fresh fish. Prices were not better than supermarkets in town or Beau Vallon. However, it is worth the visit for the lively vibe and the better assortment. There is also a huge array of fresh fish, the main attraction. Chose between small fish, excellent quality red snapper or huge Tuna. Fish costs range from 10 Rupees to several hundred depending on the weight. 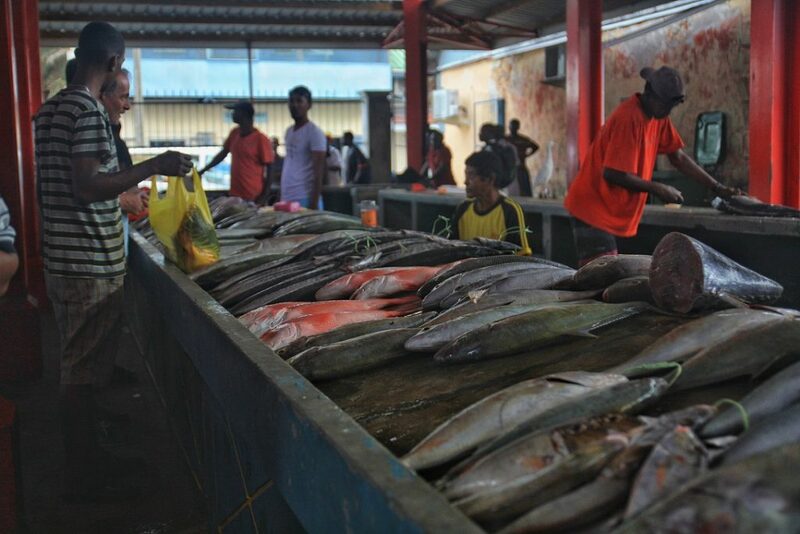 If you cannot make it to the Victoria Fish market, there is also a small stall in Beau Vallon next to the Blue Sea Divers where local fisherman sell their fresh catch of the day. Morne Blanc is a mountain trail in the Morne Seychelles National Park. There is a platform at the top, with amazing panoramic views. The hike should take 1 hour and 30 minutes round trip from the trailhead. The trailhead is on the Sans Soucis Road, heading from Victoria to Port Launay. You can park at the Tea Plantation or take bus 14, and get off at the Tea Plantation stop. The trailhead is 200m up the road. If you are not planning to rent a car, reconsider and at least rent for 1 day and venture around the island. You can see the entire island in 1 day, and take in several of the best beaches in the South of the Island. Make sure to stop at Petit Anse, Baie Lazare, Anse Takamaka, Anse Intendence and Anse Capucins, each some of the best of Mahe. 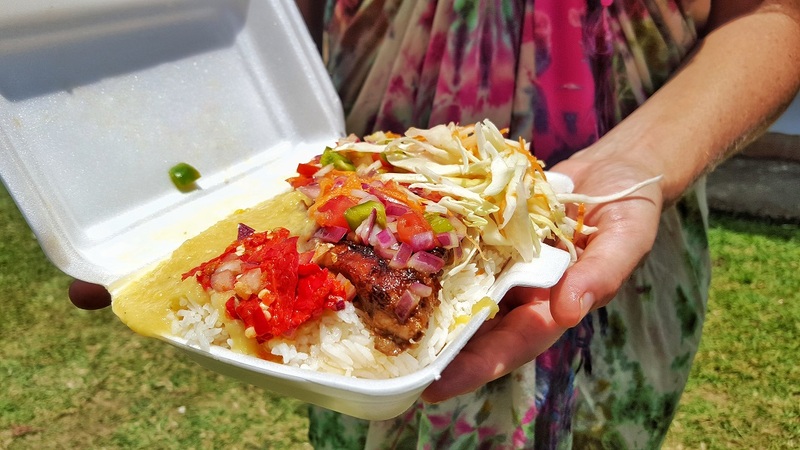 The history of Seychelles and its Creole culture all blend together into its street food. Rich in spices and in particular Indian flavors resulting from the spice route, along with fresh seafood, pair incredibly well. Along many of the popular beaches and some towns, you can find takeaway where they have an assortment of fish and curries for 45 to 75 Rupees ($3 – $6). Head to Beau Vallon on Wednesday for sunset where vendors sell fresh grilled fish and curries.